Due to the weather forecast, we are cancelling the Lake Chabot shoreline improvement project slated for Saturday, March 29. Thanks to everyone who planned to come! Please consider helping us out on Earth Day, April 19, at our table at the Downtown Farmers Market from 9:00 a.m. to 1:00 p.m. 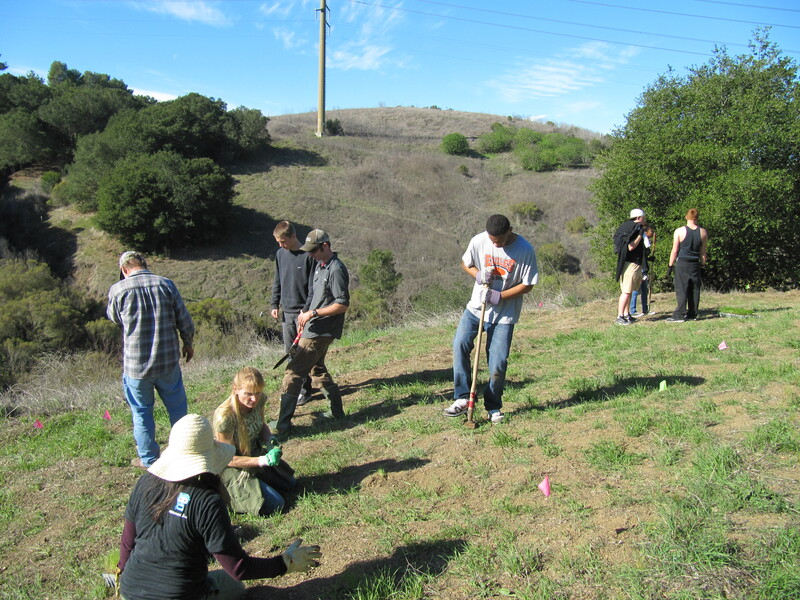 If you’re interested in volunteering, please call Jennifer at (707) 644-8949 ext. 292. Kids are coming to Lake Chabot soon for the Youth Fishing Derby, and we need to do a little shore line improvement so they can reach the water. Please join us on Saturday, March 29 from 9 a.m. to noon. Wear sturdy clothes and shoes (waders if you have them), hat, sunscreen, and gloves. We’ll provide water and refreshments, as well as any tools that are needed. 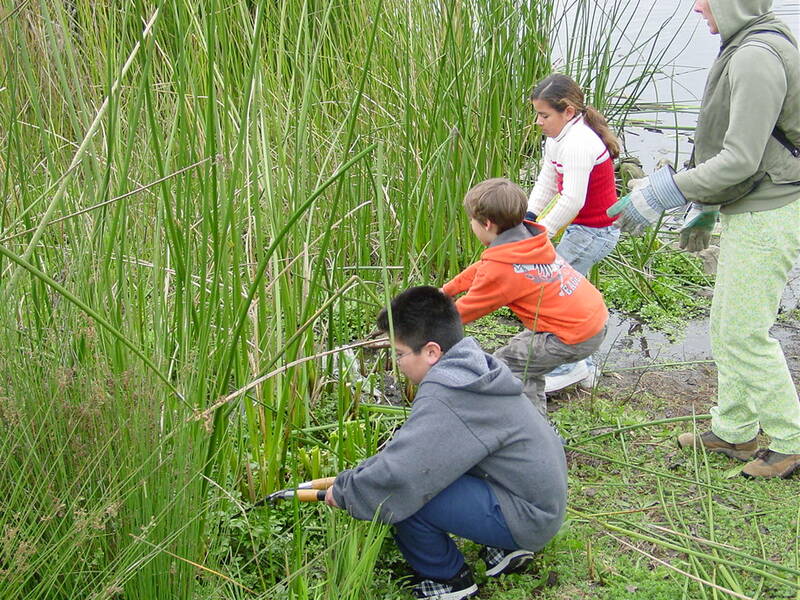 We’ll meet at the boat launch ramp in Dan Foley Community Park. Enter the park at the east end of North Camino Alto, off Tuoumne near Sutter Solano Medical Center. 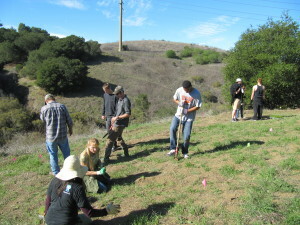 Volunteers plant native grasses and shrubs in the Blue Rock Springs Creek corridor. This is the last big planting day of the season, so grab your boots and come on out! We’ll meet in Hanns Park. Park in the lot on Sklyline just off Redwood Parkway, and follow the signs up the bike path. Wear sturdy shoes and clothes, hat, gloves, and sunscreen. We’ll provide tools, water, and refreshments.